Shaun O’Brien, Field Superintendent at Buist Electric, has been selected as one of three finalists for Associated Builders and Contractors (ABC) 2019 Craft Professional of the Year (CPOY) Award. Finalists were selected from applicants throughout the country. This prestigious award is given out annually to a field employee who emphasizes safety, is a master of their trade, is a strong leader and demonstrates a passion for their career. Shaun followed in his father’s footsteps when he joined the construction industry. “My father was an electrician. I was very impressed with how much he learned from working in the electrical field and how much responsibility he had at his company,” explained Shaun. “His career gave him the opportunity to learn about the electrical field, of course, but also about the whole building process.” Shaun’s father guided him toward a career at Buist Electric. After 32 years in the field, Shaun has never looked back. When asked about important milestones in his career, Shaun said that completing his apprenticeship was his first big accomplishment. After this, it was learning how to run large projects and the growing confidence that came with the completion of each job. 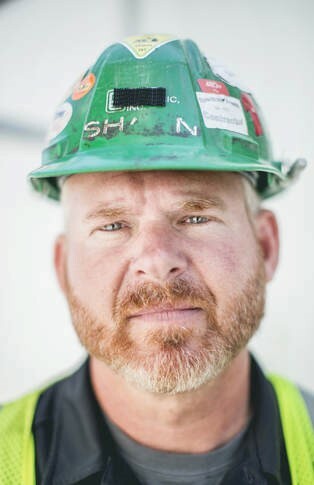 Now, Shaun’s focus is safety and mentoring young people on the jobsite. Shaun enjoys teaching people and watching the younger generation surpass him. “This new generation is learning things in their late 20s that took me until my 40s to do,” laughs Shaun. Hands-on training and one-on-one mentoring are very important to Shaun. At Buist Electric, Shaun helps to pair up experienced electricians with younger students, giving them the opportunity to teach things they may not see every day on the jobsite. Shaun wants to make sure that our youth fully understand all of the opportunities that are available through a career in the trades.